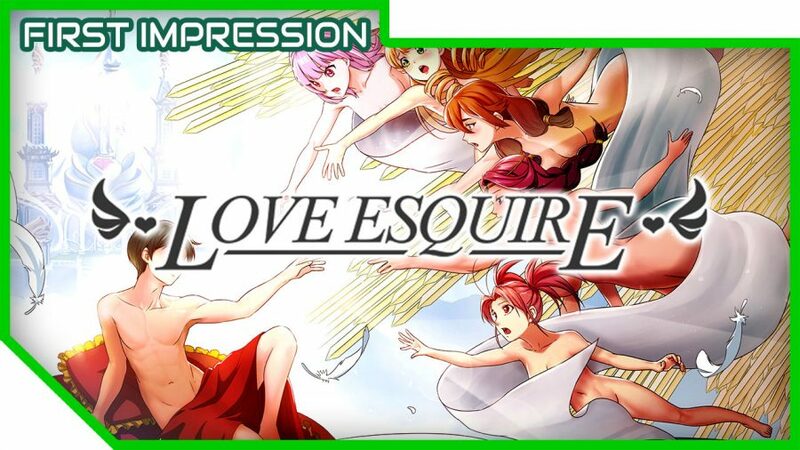 Love Esquire is a romantic-comedy visual novel dating sim with classic RPG elements. Play as a lowly Squire trying to get the girl of his dreams before the start of a deadly war. 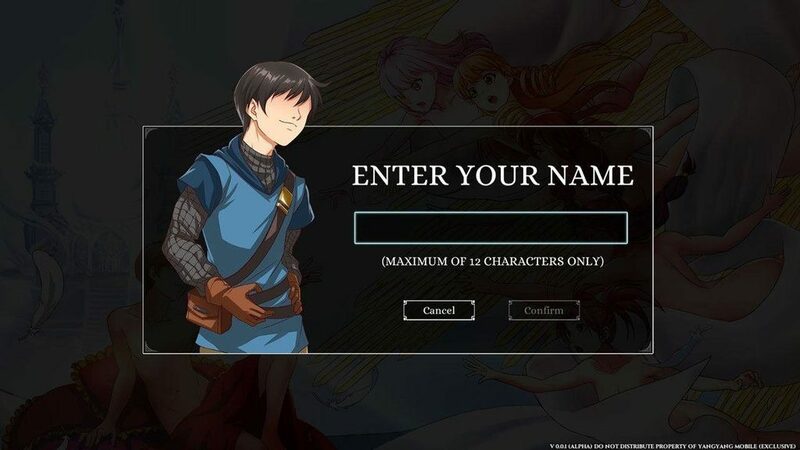 Love Esquire is a dating sim with a slice of turn-based RPG being developed by Yangyang Mobile, a Philippines-based indie game development company. The first game Yangyang Mobile developed was a horror visual novel, The Letter, which they released just last year. It garnered a very positive review among Steam reviewers. Now, it is time for the developers to move on to another game, and they decided to create a Kickstarter campaign to fund the game. We start off as a lowly farmboy who recently became a Squire under Knight Hugh, and we are woken up by your childhood friend, Amy. 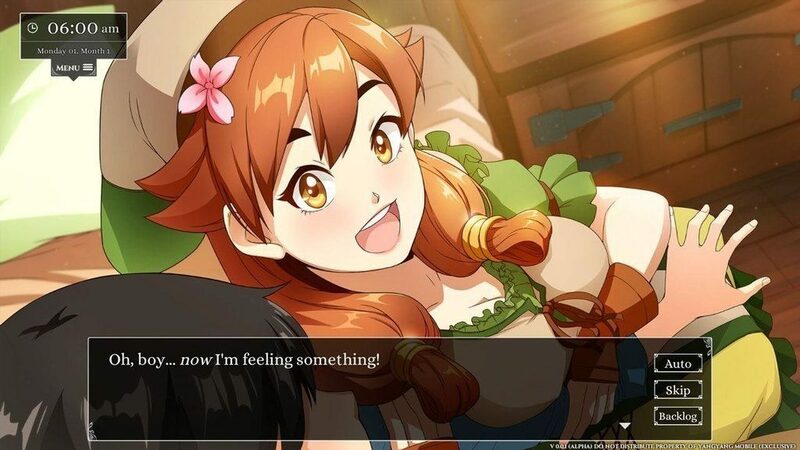 She is one of the many waifus in the game, and at first, I actually thought she was going to be the protagonist’s little sister, and I literally was like “Wat?”. However, it is later confirmed that we just actually live in their house due to some personal reasons. The whole premises of the game is to train our stats, befriend the waifus, and be ready before the deadly war arrives, which is a few months from the start of the game. Throughout our first few days, we will be meeting different waifus who will give us a glimpse of who they are, and their tropes. We get the usual anime ‘dere types, such as Beatrice the Tsundere, Giselle the Bodere, Amelie the Deredere, and I totally forgot which dere types are the remaining two. Anyway, these are my first impression of them since as of now, there is very little interaction between the waifus in the alpha demo. 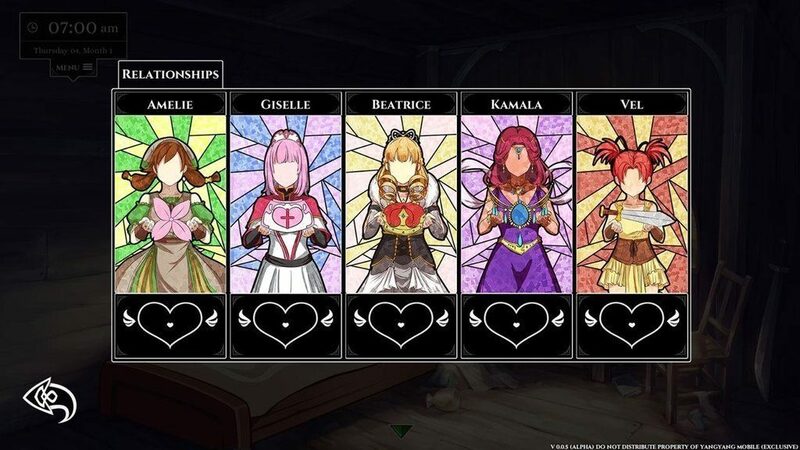 Although, I am also sure the writers will flesh out these characters depending on the route that the players will choose once the game is fully finished. Now, enough with the girls, and let us talk more about managing the day. In this demo, we get 7 days to get a feeling of Love Esquire. There are different ways to spend your time in the game. If you talk to a person, you spend an hour. Travel from one place to another, the time that it will consume depends on how far it is from each other (1 hour = 1 building). In these buildings, we can get a training from different stats that can help us in our task to get the girls of our dream, and to ready ourselves in the upcoming war. The stats are strength, intelligence, and charisma. As far as I know, these will be the key factors of the RPG elements in the game. Obviously, strength and intelligence can help you in your quests if you ever try to go on a journey to earn money. Charisma will help on talking with the waifus, and I assume it would unlock other options as well. The training, of course, costs money, and we will get money by going to the outskirts of the city. As a squire, we are basically useless in combat, and thus, we will be doing support for Knight Hugh. In the demo, we can taunt, loot, heal, or cheer Knight Hugh so he could unleash powerful attacks (which is in itself very comedic). 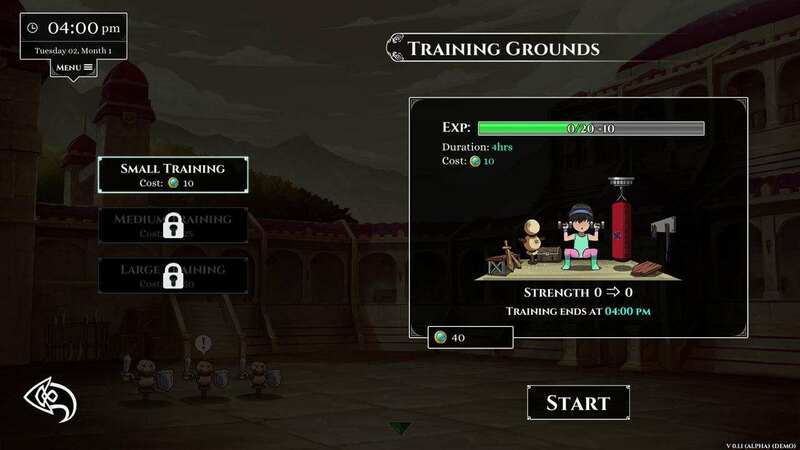 Not much has been revealed for the combat since we can only do it once in the demo, but if the developers could pull this one, such as including a bunch of funny skills, and letting us improve into better combatants later on, then I am all set. Overall, this game is still in its alpha phase, and I still really enjoyed it, despite being less than an hour short. I do have high hopes for this since The Letter is a good game on its own, and I highly suggest you play it. Feel free to support the Love Esquire’s Kickstarter campaign as it still has more than 15 days before the last day as of this writing! Nameable Hero – Whose name will these girls cry out during those scenes? You decide! 5 Dateable Waifus – More than just pretty faces, the ladies of Love Esquire have their own unique personalities, story arcs, and backstories! 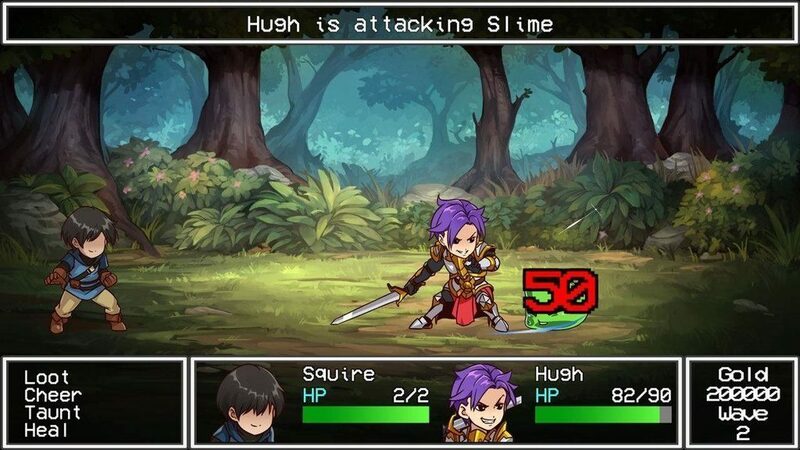 Turn-based combat with a twist -As a squire, you have a number of “unconventional” ways to assist your needy knight. Properly time your actions to unleash the full potential of your skills which are simply… out of this world! Manage your day – Allocate what little time you have in this world by forcing yourself to socialize or doing your job as a squire barely living on minimum wage. Git gud by raising stats – Stats will have an impact on your skills during combat, and they also affect your relationship with the girls. In other words, shape up to be the ideal man for the best results! Forge Relationships – Get to know your waifu on a personal level by being around her and talking about stuff. Sure, she’ll think you’re a creep at first, but persistence is key! As she eventually warms up to you, find out how there’s more to her than meets the eye. Multiple Endings – What’s waiting for your squire at the end of the journey? Make decisions that will end up great or turn out to be otherwise. Partially Voiced – So you can hear your waifus partially express their partially undying love for you! Mature Content – This game contains subjects and themes your parents warned you about as a kid. Moddable Content – The game will support simple modding on release. To be discussed in a future update. Original Soundtrack – We want you to experience the feels while playing this game, and our soundtrack will see to that! More Details Revealed for God Eater 3!